In 2012 a New York-based national industrial distributor was faced with the daunting task of checking the accuracy of their product photographs and updating them if necessary. Because of the large number of items, it was proving to be a logistical nightmare to track all of the product data and photographs. During one of their meetings, a member of the team posed what would become a pivotal question for all involved: "How do they shoot all of those pictures at an amusement park and match them up with the guests?" Since one of their distribution centers is located in the Harrisburg area, a call was made to Hersheypark to determine the name of their photo vendor. The subsequent call to *Get The Picture Corporation in Hershey, PA, was the beginning of our new business Skupics Studios. The high quality imaging services that SKUpics Studios provides are customizable and scalable. Skupics Studios has designed their own in house software that is able to track images and product information from product receipt, to image delivery. What is unique about this software is it makes no difference if our clients need one image or millions of images, they are all treated with the same attention to detail. Skupics also provides an online dashboard where our clients can personally do a quality assurance check prior to final image delivery. This way, we are certain the client is always getting exactly what they want. Skupics Studios can present a cost effective and time sensitive solution to photograph your entire product line. Our number one goal is to deliver high quality images ready for web or catalogue presentation, creating an immediate return on investment. We take pride in our photography and we understand that these images are part of your image! *Get The Picture (GTP) was formed in 1989 and has been providing photographic services to visitor and amusement centers since. Skupics Studios, LLC was created and outfitted by the team at GTP to meet all of this client's needs. Kyle Fink, Vice President & COO, began working for our sister company, GTP Corp., in 1989. Later that same year, he enlisted in the United States Navy. Kyle returned to GTP Corp. in 1995. While serving in a variety of management positions, Kyle was instrumental in planning and guiding the successful expansion of the company. In 2016, Kyle moved from GTP Corp., to Skupics Studios to be the driving force behind sales and marketing, as well as to continue to ensure the successful expansion of the company. Erica joined the Skupics Studios team two weeks into the initial endeavor as a temporary photographer, and became a full-time employee in 2014. She oversees the photography process from product receipt to image delivery. In other words, if you have a question about your images or the inner workings of our process, she is your girl. In Erica's free time she enjoys watching movies, listening to music, and spending quality time with her friends and family. Skupics "lives" in a 6,400 square foot warehouse just outside of Hershey, Pennsylvania. We have tons of space for customization, so that we can accommodate what our clients need. This includes living room display sets, kitchen sets, portrait studios, 360 studios and tabletop-still studios. 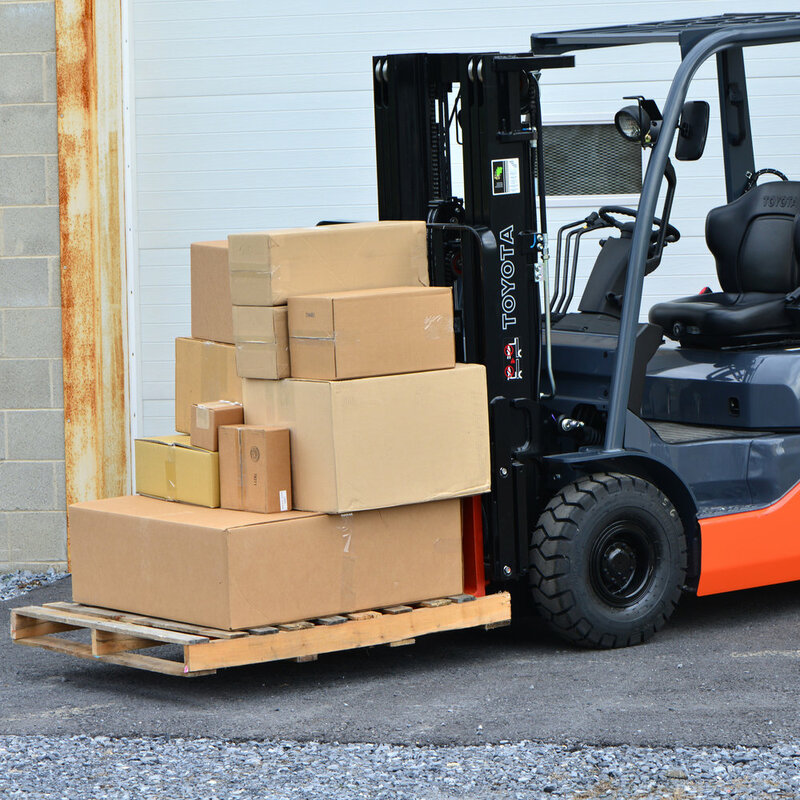 We even have a forklift so that we can accept palletized deliveries with ease.